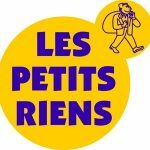 Cette page en français. Deze pagina in het nederlands. 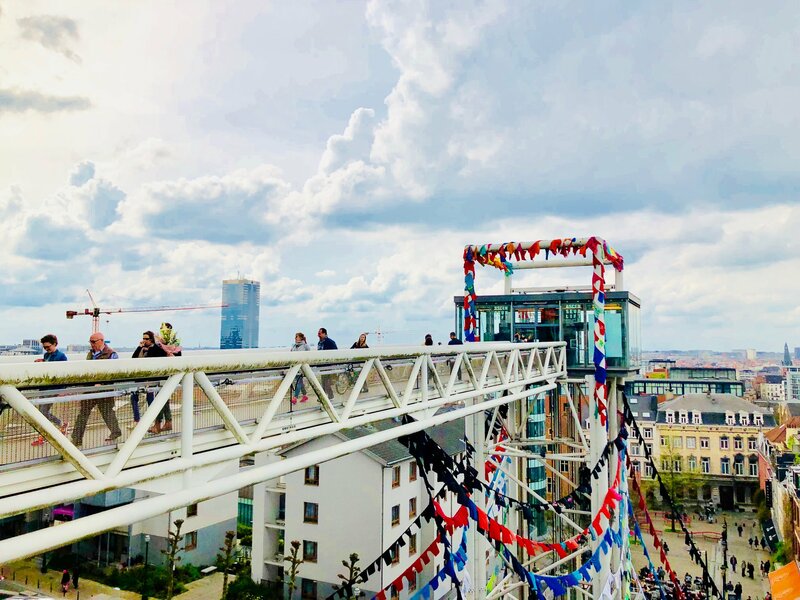 A collaborative art installation on the elevator of the Marolles is the point of departure for neighbourhood dialogue. 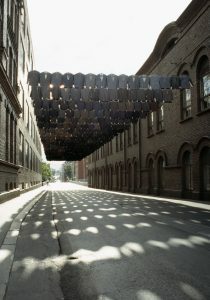 A project in collaboration with artist Kaarina Kaikkonen. Download the Press Release here ! If I had Wings is one of three projects presented by Ifa laboratory et Arts Lab Brussels, offering alternative communication platforms produced with artists. 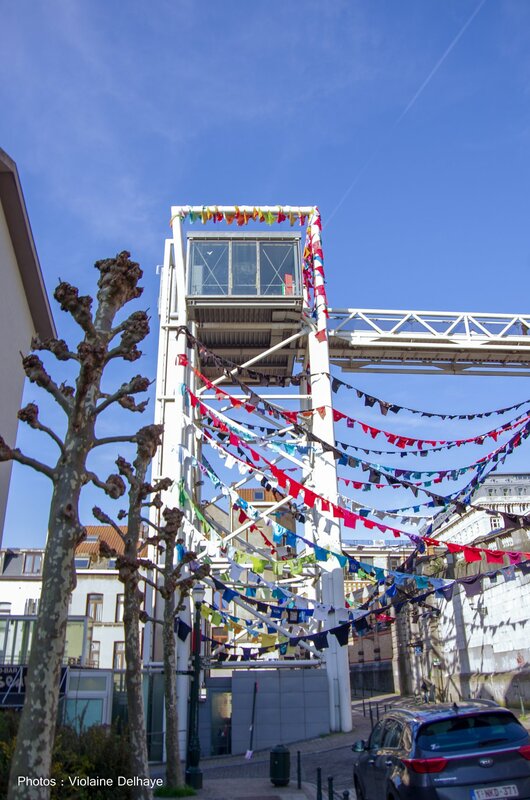 After discussions with habitants of the neighbourhood Ifa laboratory and Kaarina Kaikkonen chose the Marolles elevator as location. 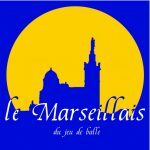 This interesting location connects two parts of the city with different social aspects and history. The second project in our neighbourhood dialogue program aims to spark conversations on the past, present and future of the Marolles. Join us, the artist, Minister Pascal Smet, Finnish Ambassador Timo Ranta and many more. 6 pm at “Bar L’Ascenseur” at the bottom level of the Marolles elevator. Finnish artist Kaarina Kaikkonen graduated from the Academy of Fine Arts, Helsinki in 1983. She became one of the most important Finnish contemporary artists, known for her sculptures and monumental public space installations. She is known for using recycled material, clothes, shoes, toilet paper all witness about the human traces and dimensions of her work. The human being and identity are often in the center of the discourse. 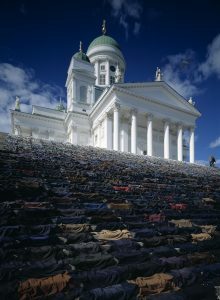 Kaarina Kaikkonen is represented by the Forsblom Gallery in Finland, and her works are constantly being seen around the world. In the spring of 2018 his work is, among others, presented by the Kunsten Museum of Modern Art, Alborg, Denmark. 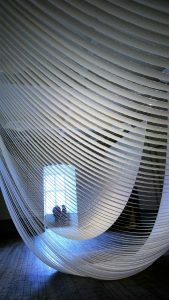 In Belgium, an art collective in Antwerpen, Anna 3, proposes also an installation by the artist starting from June. Photos of previous work by artist Kaarina Kaikkonen: Shadow, Tampere 1999, My Outline, Uppsala Art Museum, 2017, Way, Helsinki cathedral, 2000. 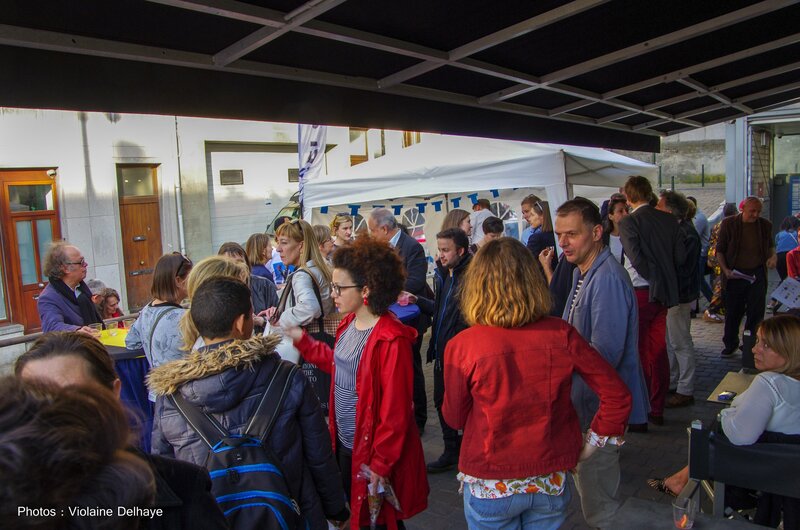 In collaboration with persons and organisations inside and outside of the Marolles, Les ateliers des Tanneurs, la Cour du jeu de Balle, the primary school Emile André, EODP – European Observatory for Democracy and Peace, Culture Centre Bruegel, Maisons des Jeunes le 88, Le Foyer des Jeunes, Bar L’ascenseur, Belgian Buildings Agency, Le Marseillais du Jeu de Balle, Les Petits Riens . 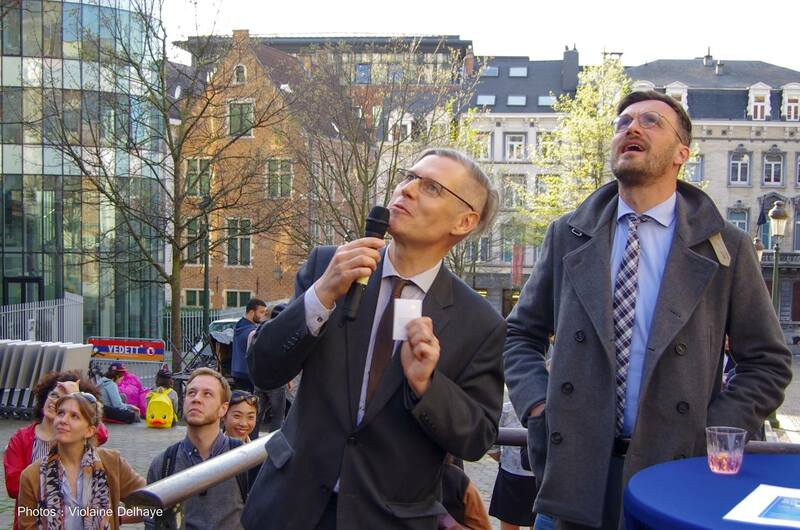 With support from the Brussels Capital Region, the City of Brussels, COCOF, The Finnish Cultural Institute for the Benelux, the Finnish Embassy in Brussels, VisitBrussels, STIB/MIVB, Brussels Mobility, Helsinki Café.